Arianespace, on behalf of the European Space Agency (ESA), has a Vega rocket poised ready for a planned Dec. 2, 2015, launch from Kourou, French Guiana. 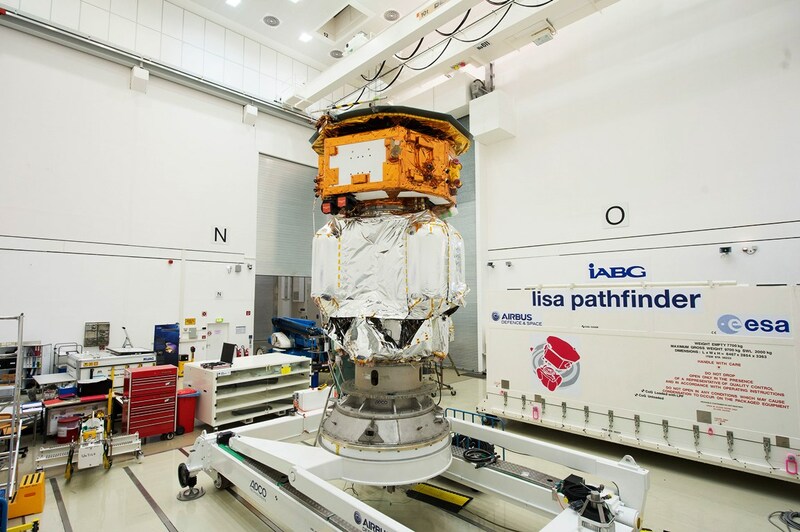 The payload for this flight is the LISA Pathfinder, formerly known as Small Missions for Advanced Research in Technology-2 (SMART-2) spacecraft. 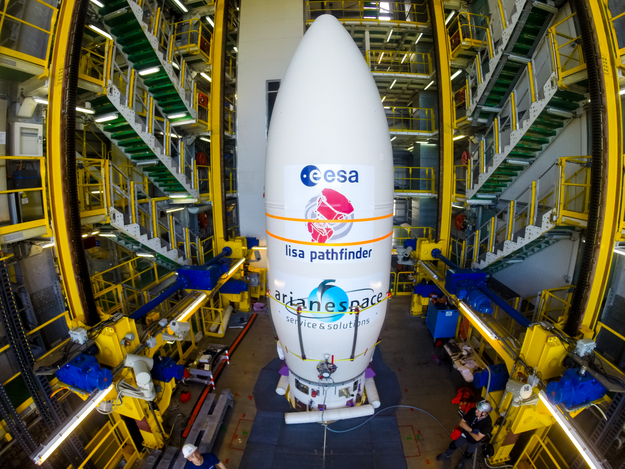 If the flight of the Vega rocket is successful, LISA Pathfinder should separate from the rocket’s final stage at approximately 06:00 GMT. Shortly thereafter, it should transmit its first signals back to mission handlers on Earth. Members at ESA’s European Space Operations Centre (ESOC) in Darmstadt, Germany, are hopeful that after riding Vega aloft, LISA Pathfinder will carry out a science mission lasting some 180 days. The spacecraft will circle the Earth-Sun L1 Lagrange point, located some 930,000 miles (1.5 million kilometers) away from Earth in the direction of the Sun. As is the case with any mission that is about ready to leave the launch pad, the team has been kept busy conducting simulations and practicing for contingency scenarios should they arise. One of the more difficult aspects of LISA Pathfinder is the fact that the spacecraft will be utilizing higher frequency X-band transmissions for communications purposes. The Vega (Vettore Europeo di Generazione Avanzata) booster is an expendable launch vehicle employed by Arianespace for smaller payloads weighing approximately 661 to 5,516 lbs (300 to 2,500 kg). The rocket began development in 1998 and carried out its first launch on Feb. 13, 2012. Vega is primarily tasked with hoisting scientific and Earth-observation satellites to polar and low-Earth orbits (LEO). The rocket was given its name, in part, for the brightest star in the Lyra constellation. Vega doesn’t use strap-on solid rocket boosters. Vega is composed of three stages: the P80 first, Zefiro 23 second, and Zafiro 9 third stage. Vega’s upper module is itself a rocket, dubbed AVUM. With the launch set to take place approximately 24 hours from now, ESA officials expressed confidence that the spacecraft, launch vehicle, spaceport, and team are ready and prepared to provide the mission with its start. “Our mission teams are ready, the tracking stations are ready and our carefully developed ground systems are ready,” said Paolo Ferri, head of ESA’s mission operations. * This article was updated at 14:44 EST, Dec. 1, 2015.